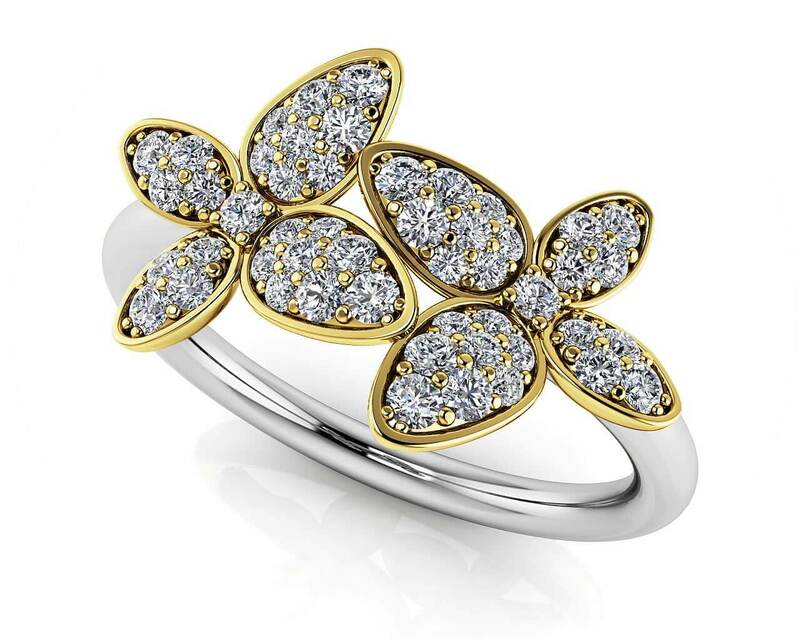 Total Carat Weight: 0.39 ct.
A delightful butterfly is delicately paired with a beautiful flower shaped design to come together in perfect harmony. 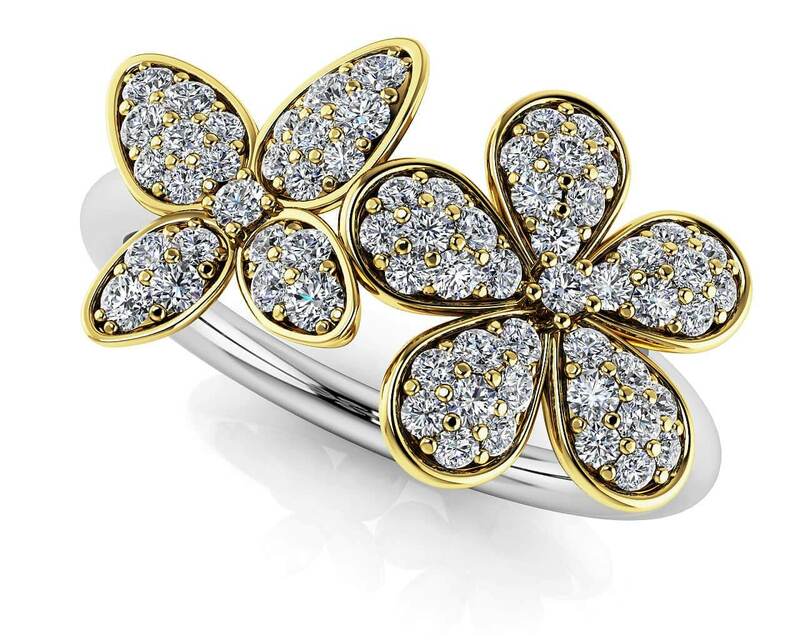 Both the butterfly and flower and set with brilliant round diamonds to sparkle with elegant charm. 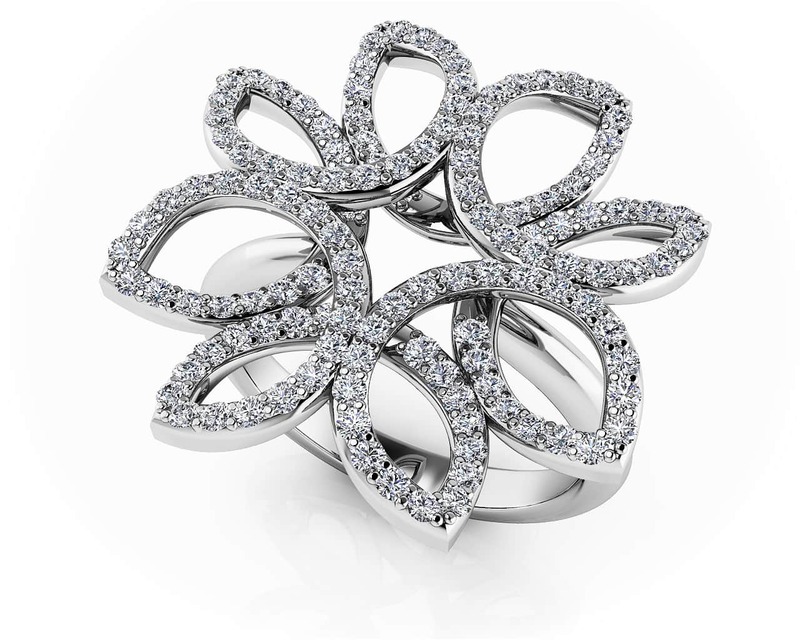 Model Carat Weight: 0.39 ct. Effective Carat Weight: 0.39 ct.
Stone Carat Weight: 45X.005 ct., 11X.007 ct., 5X.008 ct., 5X.010 ct.